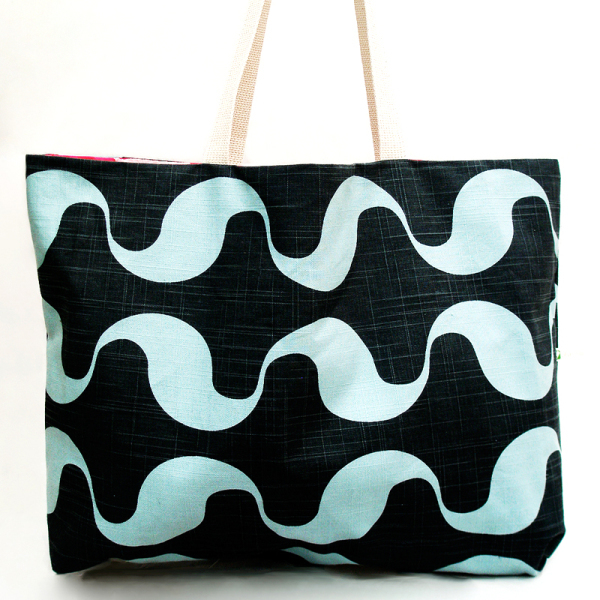 ‘Wavy Gravy’ Tote Bag is a near-one-of-kind reversible canvas bag. 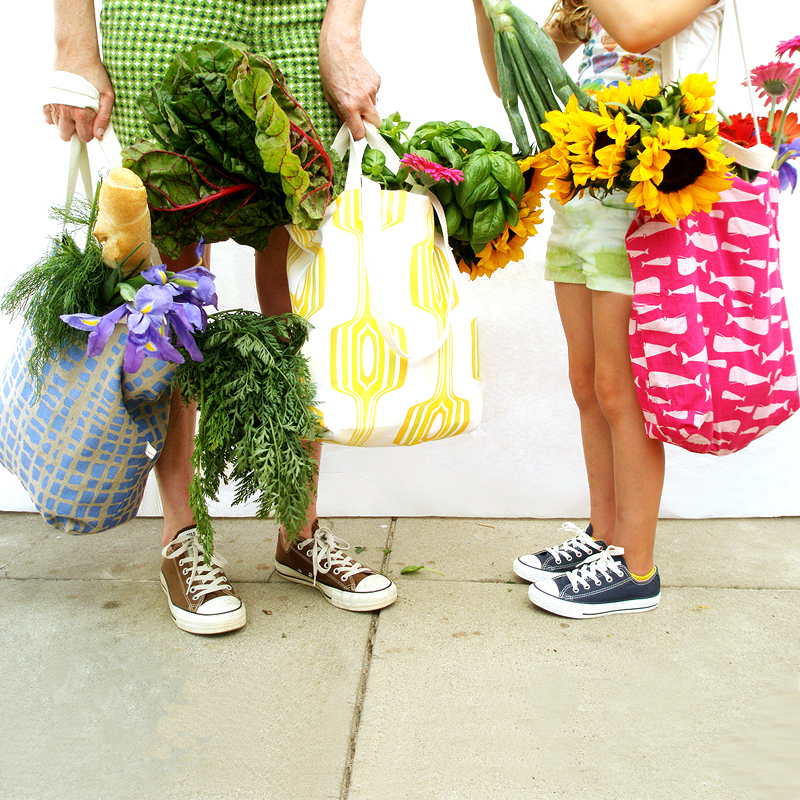 Our vibrant reversible carryall offers plenty of room for everything when your heading to your favorite playground with kids or spending an entire day shopping with your best gal pals. *50% OFF was $50.00 now $25.00 ! ALL SALES FINAL! SKU: AuntBucky_WGlg_ToteBag. Categories: Sale, Tote Bags, Totes + Luggage. Tags: Aunt Bucky, bag, baggage, beach bag, canvas bag, CarryAll Bag, CarryOn Bag, cotton bag, Diaper Bag, Luggage, nautical bag, reversible bag, tote bag, weekender bag, yoga bag. 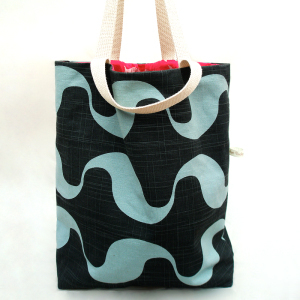 Wavy Gravy Reversible Tote Bag is a near-one-of-kind reversible canvas bag. 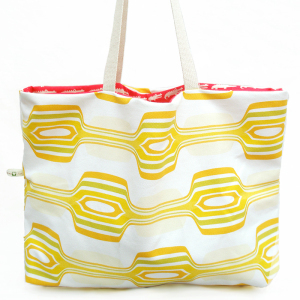 Our vibrant reversible carryall, Wavy Gravy Reversible Tote Bag offers plenty of room for everything when your heading to your favorite playground with kids or spending an entire day shopping with your best gal pals. 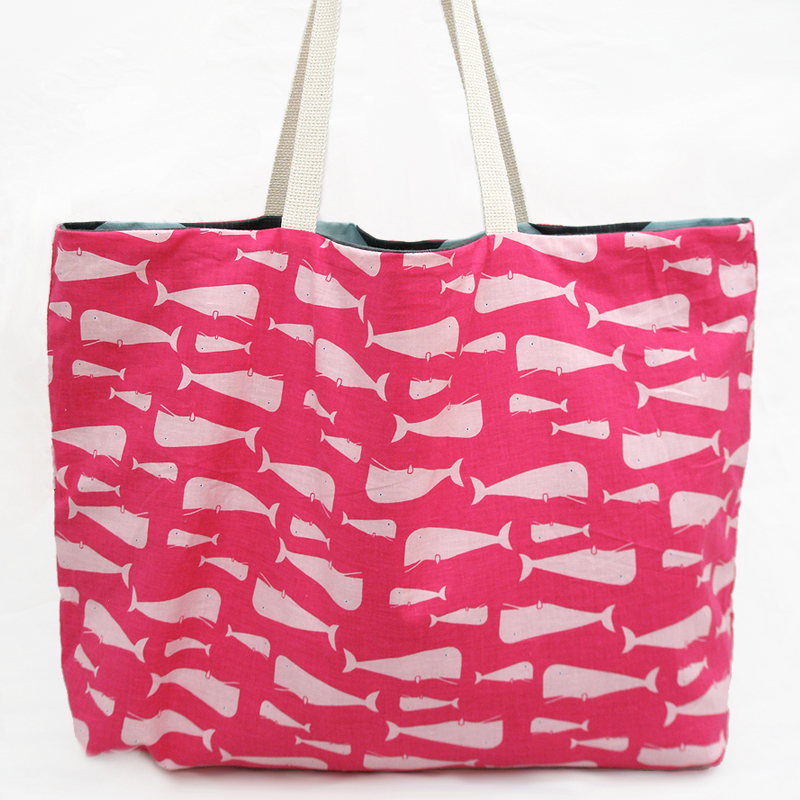 Today we all struggle to find the perfect tote bag that we can multi-task with. 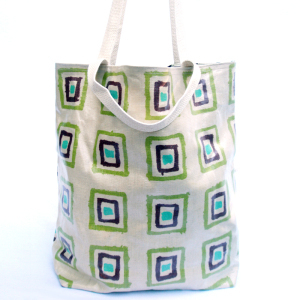 Now that we are all becoming more green about using less plastic we need a good sturdy fashionable tote bag to take with us for heavy shopping and light shopping during our busy weekdays. 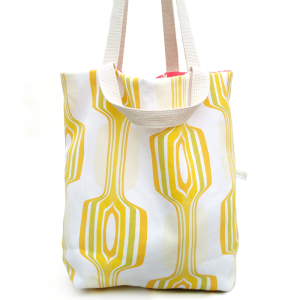 We have many happy customers that started out purchasing our tote bags for shopping but have turned using them for handbags because there just so darn cute! Our beautiful high-end 100% cotton canvas outside with dark navy blue/baby blue wave graphic modern retro-feel graphic design is paired with our inside lining of a soft 100% cotton fabric designed in Japan in a hot pink background with adorable illustrated white alligators. Our bag is reversible and can be switched up when you want to have a different kind of day with your bag: mod to cute in a matter of seconds! This great bag comes in different colors too, just visit our site for more options. 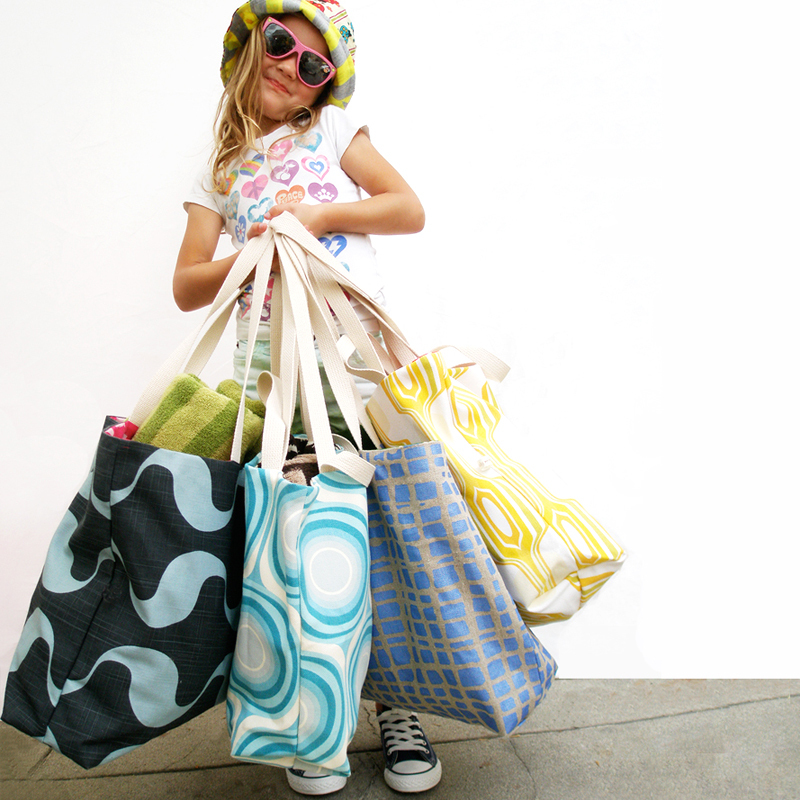 You can never have enough bags for all your needs: shopping, playdates, travel, overnight bag, exercise gear, kids bag, pet bag, car bag, swimsuit gear bag, and so much more . -Handles are comfortable as shoulder strap or hand held handles. -14.5”H x 23”W Bag Dimensions. -27″ L Shoulder Cotton Canvas Handles. -Reversible Bag that can be changed to suit your style.